Human Nature is one of Australia’s most enduring acts. 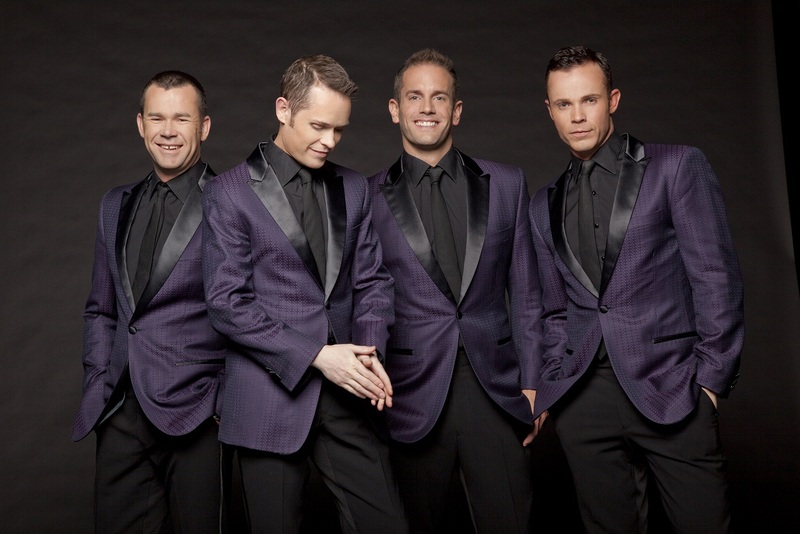 Andrew, Michael, Phil and Toby have peppered our charts with their releases for the best part of 20 years, the last seven of which they’ve spent entertaining audiences on the famous Las Vegas strip with their Motown shows. To celebrate the release of the deluxe edition of their Christmas album, we chat with Toby Allen from the band about their incredible ride, what’s happening in Vegas and if there are plans to release more new originals. It’s quite ridiculous to think that it’s been almost 20 years since you released your debut single, ‘Got It Goin’ On’. Yeah, I guess we often find the same. We keep on doing what we’re doing, but then occasionally when there are certain milestones, you stop and think back over everything we’ve done and think, wow, it’s a long time. We’ve actually just celebrated our 26th birthday as a group a few days ago. Do you turn around and think, ‘where the hell has the time gone’? (laughs) Yeah, particularly since we started recording and releasing music. Like you say ‘Got It Goin’ On’ was 1996. That’s a long time ago. That’s 19 years, but when we think about the things we’ve done, there’s a lot of stuff in there. And the last seven years of that have been over here in Vegas, so time flies. Next year marks the 20th anniversary of the release of ‘Telling Everybody’. How are you planning to celebrate the milestone? Look, I guess we’ll probably do something, We actually hadn’t thought that far ahead yet. I think that album actually came out in ’97, because we had some singles… and then. Oh no, it did come out that year. It did come out in ’96, because it was when we were touring with Michael Jackson at the end of ’96 that we released the album. So yeah, it’ll be 20 years. I guess as we get closer to it, we’ll come up with some sort of release to commemorate it in some way. It was ten years ago that you boys released ‘Reach Out : The Motown Record’. Looking back, in how many ways has that album changed your lives? It’s probably been the single change that we’ve probably ever experienced. It was music that we loved and love performing, but I guess we never would have thought that it would send us on this ten year path of releasing Motown records and coming over to Vegas and spending seven of those ten years here in Vegas. So I guess it singlehandedly sent us on a very monumental part of our career. It’s been a lot of fun and we’ve just loved every minute of it. In many respects, it’s really changed the trajectory of the band. Working with Smokey Robinson was life changing for you and he became quite the champion of the band from there on. It’s been a rather organic shift in many ways though? Yeah, absolutely. I guess the biggest factor in that is that we were so close to the music. Like I said, it had been music that we were first inspired by when we formed the group 26 years ago. That music had been part of our career all the way along – a song here, a song there in certain live shows – to the point where we thought, ‘we love this music and the songs that we’ve been doing in our tours that have been going down really well and we love doing it’. So that’s when the decision to try a whole album of Motown songs came about. And it really is music that we just organically fit with. From the harmonies to the moves and all of that sort of stuff. We often joke about how we feel we might have been born in the wrong era, because it’s the music of the ‘50s and ‘60s. The ‘Jukebox’ record is also full of music that fits well with us. It’s been great to be able to approach that music, but still keep a very solid sense of Human Nature amongst it and what we can bring to it. Do you incorporate some of your originals into your Vegas set? We have done, yes. For the past few years since we’ve been at the Venetian, we’ve included ‘Everytime You Cry’. We’ve done that in our show for the past few years now, which was probably the closest we got in our original songs to Motown. It was very much inspired by our love for Motown. It’s one we’ve included. We’ve touched on some of our earlier history – when we first formed – ‘Earth Angel’ was the very first song that we sang together. So we’ve touched on that stuff and we’re always looking at ways that we might be able to introduce more of our songs into our show over here, because there are a lot of our songs that we’re really proud of and we feel to expose them to more people would be a whole lot of fun and that people would appreciated them. What’s been the best thing about Vegas for the band? There are a lot of great aspects of being here. Just to be part of the mix of entertainment that’s happening in Vegas is something that we always pinch ourselves over. To think that we’re performing on the same street as your Celine Dions and Britney and Rod Stewart. There’s that, but there’s also the fact that we get to perform so much live. It’s something that we’ve always loved doing and we’ve really prided ourselves from very early on as being showmen and being able to put on a good live show. And so to be able to do that as regularly as we do over here, but still go home at night is really great. Normally you’d be touring. And touring is tiring. All the travel and all that stuff. So to be able to go do a show, you go into the showroom, the crowd changes every day… You get good ones and you get bad ones, but you get people from all over the world coming to see your show. It’s sort of perfect, really… they come to us as opposed to us having to go to them all the time. Do you get many Aussies coming to see you? Yeah. We always ask the crowd if there are any Aussies. And in the seven years, there will literally be a handful of shows, probably less than ten, where there hasn’t been an Australian. It’s something that we’re so proud of. We go out afterwards and sign CDs and programs and everybody comes through and grabs what they want, but when the Aussies come up and they say things like, ‘you guys make us proud to be Australian’, that’s really amazing. And it feels so great to know that we are still here seven years on and Australians are really loving the fact that we’re representing the country so well and that we can be something they’re proud of. We were actually hoping to see you in Vegas a couple of years ago, but sadly you were in the middle of the two week downtime in December, so that didn’t happen. We’ve actually switched to our holiday show. So we’re doing ‘Christmas, Motown & More’ now through to just before Christmas. So it’s a chance for us to visit some greats of the holiday season and be able to perform all the tracks off our Christmas album, which is something that we’re also very proud of. And it’s a fun time of year. Not a lot of shows in Vegas do true Christmas shows. They might throw one or two Christmas songs in there, but we literally rework our whole show and make it very much a celebration of the holidays. Speaking OF Christmas, How did the collaboration with Delta Goodrem come about for this new repackage? We’ve known Delta for years and have always thought that she had an incredible voice and is such a great talent. When we were thinking about adding some songs for the Christmas album, she was top of the list of people who we thought would be a great coupling. We’ve worked with other female artists before, but particularly for the song ‘Let it Snow’, we just thought that she’s bring some of that cute, cheeky vibe to the track. And she did. She’s such a professional. We went into the studio together and she’s got such a great control of her voice and really brought a beautiful quality to the song – to really add another dynamic to it that we wouldn’t have necessarily had ourselves. And she’s a lot of fun. She likes to joke around and honestly be one of the guys in some ways. I think it’s come out really great. We did a fun video for it too, where we rip out our ugly sweaters. Although seemingly on different sides of the planet, it has to be said…? That one we weren’t necessarily together. We tried as best we could to make it appear that we were all together. Oh it looks great as far as the set-ups were concerned. We were lucky to be able to get into the recording studio together to perform the track. She’s obviously been busy doing a whole lot of other things as well. But yeah, we couldn’t necessarily manage that for the video. Still fun. And what’s next for you? Another year at The Venetian? Have you got another contract signed? We don’t have one signed yet, but we’ll still be on the strip and we’re just nailing down some last details before we are 100% sure where we’ll be and what we’ll be doing, so as soon as that happens, we’ll be shouting it to the world. We’ve been excited about being over here for the past seven years and we really want to make the most of our opportunities being over here. It’s a tough place to get a gig and you’ve got to work hard to keep your gig here as well, so we’re loving it and hopefully we’ll have some news very soon. The fact that you have been there for seven years and from what you’re saying there that it’s looking likely to continue into the future is testament to not only to your work ethic as a group, but also your talent. And let’s not deny it – it’s probably been a little underappreciated here in Australia at times. So to see that you’re doing so well over there is probably why we’re all applauding you. Our ‘Jukebox’ tour earlier this year was so much fun. And so exciting to come home to a sold out tour. And for people to be that excited to come out and see us again… we were blown away. So we always have that amazing support and we just hope that people keep on enjoying what we’re doing. Do you boys have plans to record more original material in the future? It’s something that we often consider with whatever we’re going to record. Obviously with the last couple of releases, we’ve tried to incorporate at least an original. Even on the Christmas album there’s one, there’s one on ‘Jukebox’ as well. We’re not ruling out ever doing complete originals albums again, we’re still going with the next thing that we feel passionate about. If that’s originals, that’d be great. But at the same time, we’re just loving singing great music, regardless of where it comes from. And music we feel we can really make our own and have unique versions that really contain the essence of Human Nature. Whether originals or covers… It often depends on the project. But I think there’ll be a time when we’ll do more originals. Is there another album release on the horizon? Not just yet. At the moment – leading up to Christmas – it’s all about the Christmas album and our Christmas show, then getting our teeth stuck into whatever next year might bring and then work it out from there. 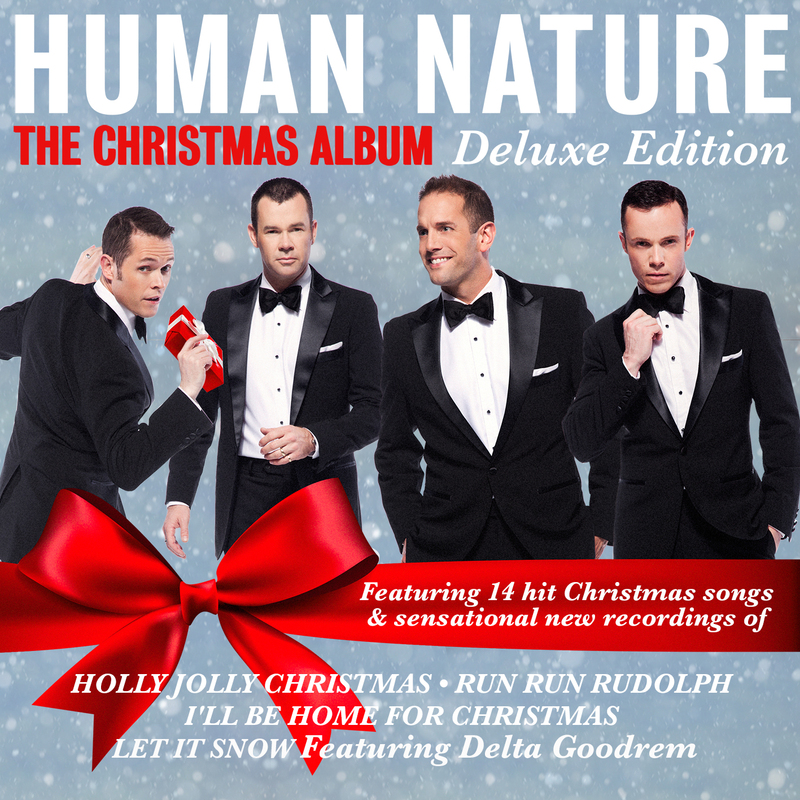 Human Nature’s ‘The Christmas Album : Deluxe Edition’, featuring ‘Let It Snow’ with Delta Goodrem, is available now.